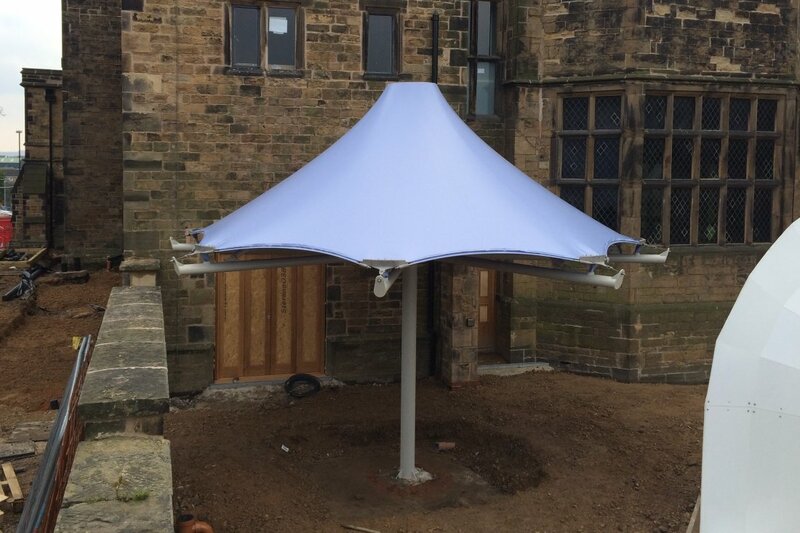 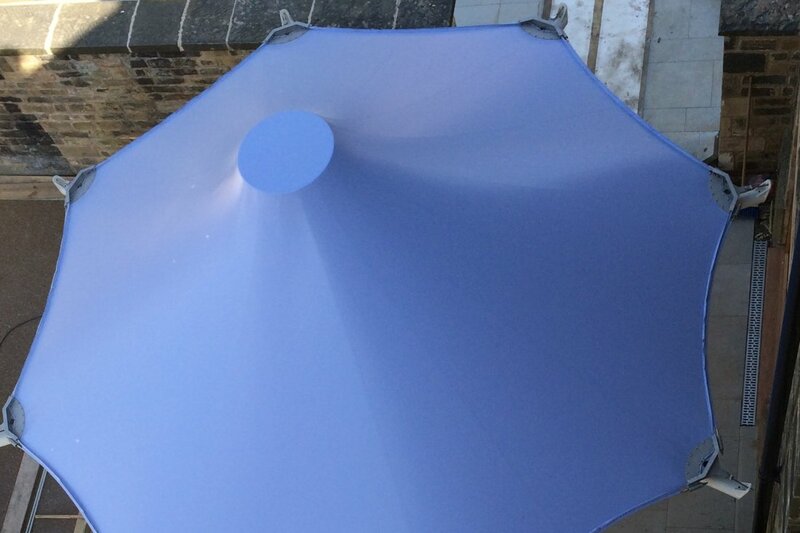 Tensile Fabric Structures were asked to design, manufacture and install a bespoke octagonal single conic tensile canopy at Staveley Hall, Derbyshire. 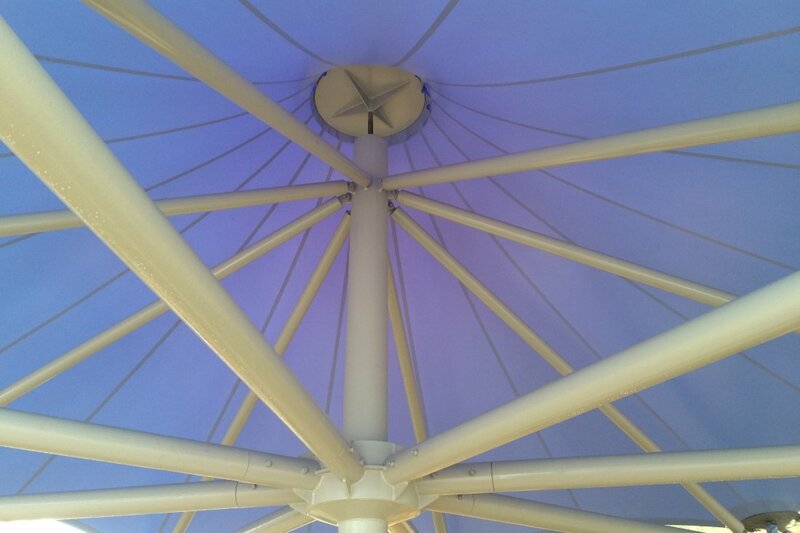 This special tensile conic also was fitted with an integrated water capture system that drains through the arms and into the mast. 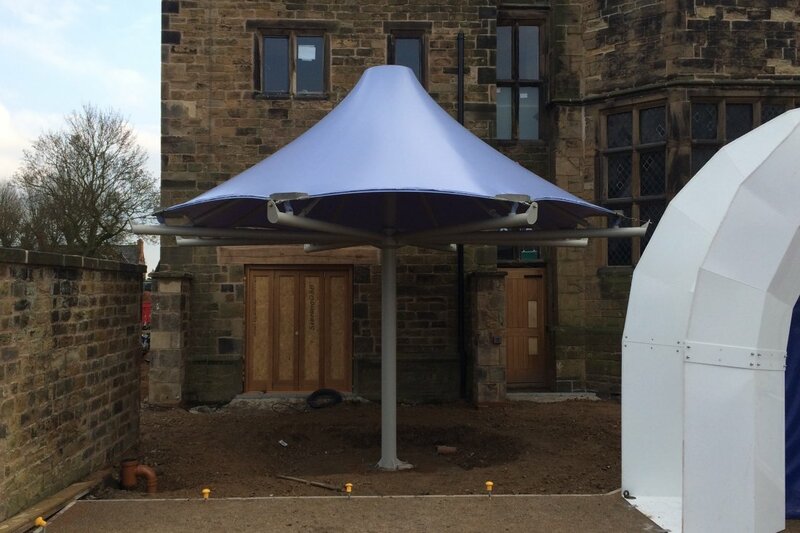 Staveley Hall is now a fully functioning wedding venue and cafe.